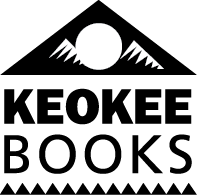 There it is, in the neon Kokanee footprint at the Conoco station on the way into town, in the ice cream flavors at Panhandle Cone and Coffee, on the chalkboard at MickDuffs, the wall of Idaho Pour Authority, and tacked to metal siding in the Granary District. 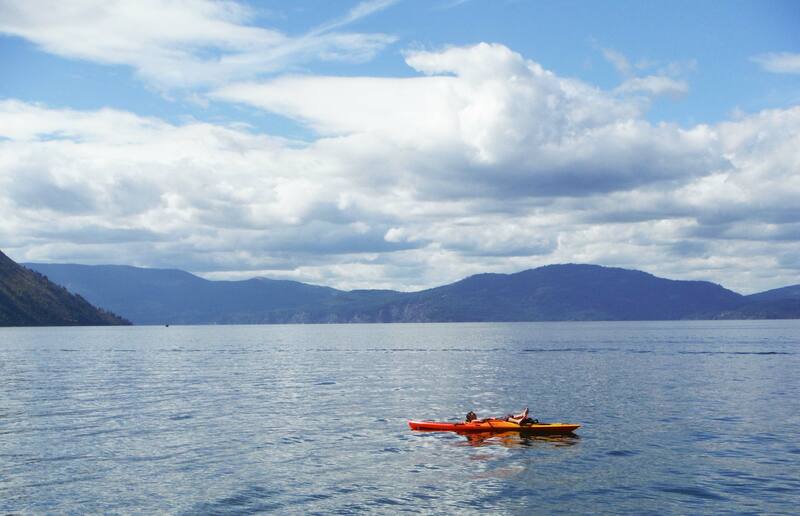 It’s everywhere: on Schweitzer T-shirts, inside Powder Hound Pizza, on downtown artwork. I’m not just seeing things. 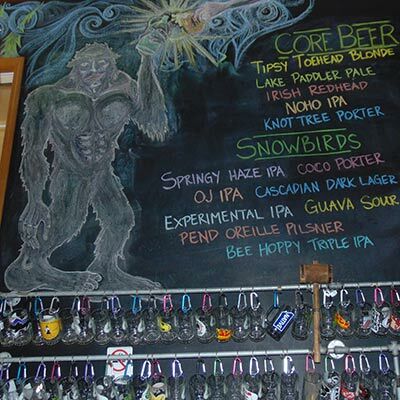 Sasquatch seems to be a good branding for beer, cafes, music festivals and other things that strive for a fun vibe. 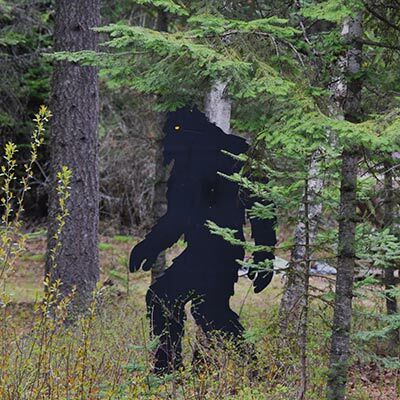 The wild and whimsical nature of Sasquatch recently won the hearts and minds of the campaign team for the Pine Street Woods acquisition. 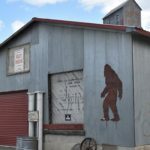 Kaniksu Land Trust is trying to purchase 160 acres on a woodsy knoll near Sandpoint for recreation and education, and adopted Sasquatch as their mascot as a way to capture attention. 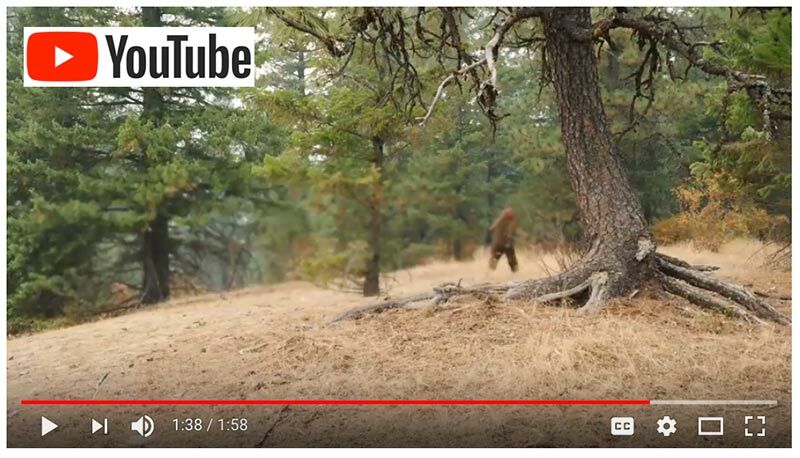 Local videographer Scott Rulander produced promotional videos featuring a shaggy Sasquatch chasing Grace through a meadow and taking an offering left by a child. Rulander adapted the footage to explore the idea that Sasquatch stirs our sense of place in his video essay, “Land is my Sasquatch” (see video at www.pinestreetwoods.org). He entered the video into the Land Trust Alliance’s national competition and placed second to a more conventional entry. 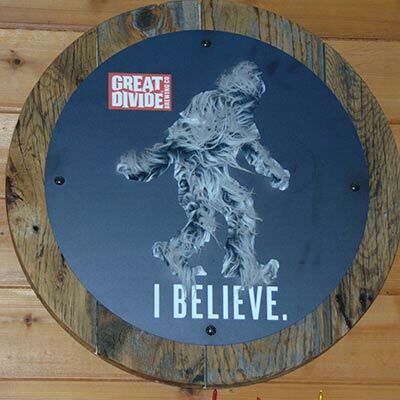 Grace says the video strikes an elemental chord about what Sasquatch really stands for. 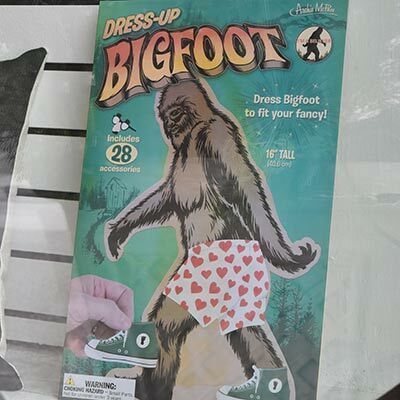 What started as a quirky marketing idea became something deeper.